This 90-day system combines the best of both worlds – Fat Loss AND Mind Body Nutrition. This is the key that unlocks the cage to YOUR food and body struggles. LOSE the stubborn fat that has refused to budge with the TRUHealth System that is formulated to support the body’s natural processes to burn fat and cleanse the body of the toxins that are stored in fat. Mind Body Nutrition protocols is THE way to keep the fat loss forever. It provides the tools needed to keep you living in a body you love. Cause let’s face it…food didn’t get you where you are today…it isn’t the “bad” guy. Behaviors and Emotions are the culprit. So, let’s dive in and work with those. You will feel leaner, lighter, fabulous, and FREE! Your relationship with food and yourself will shift from one of struggle to PEACE. You will lose the fat weight you have been wanting to lose. You will discover who you are as an eater and how to relate to and change it, if necessary, for the results you want to attain. Shape-Shifting, the ultimate tool to losing the fat weight and keeping it off – Visualization! In essence, this membership program WILL teach you how to live at your body’s natural sustainable weight. Just think…you would be LIVING in a body you LOVE and ADORE the rest of your life! Women and Men who desire to lose fat weight, cleanse the body, change behaviors AND learn the tools that will set you free. The old way of doing diets is leaving you stuck… NOW its time to get some results that will STICK. 1) Online Coaching Membership where you receive coaching material outlining the TRUHealth System AND Mind/Body Nutrition Protocols each week for 13 weeks. PLUS Q & A Thursday via Facebook Live at 12:00 noon CST. 2) OR, you can opt-in for LIVE GROUP (laser) COACHING where you will receive 2 group calls each month with content, Q & A, plus laser coaching AND access to the online coaching. We will address any questions you have along the way. Get a friend or buddy to partner up for the program. It is ALWAYS more fun with a pal! This group will meet online the 1st & 3rd Tuesday at 1:00 pm CST in the Bio~Balance Zoom Room. With both of these options you receive a membership into the NewYou90 Mannatech Facebook group where you will receive oodles of support. Post your questions, Ah-Ha, Wahoo and Oh Boys! This is a private member site. Weekly emails consisting of recipes, workout ideas, videos and the Mind Body Nutrition Protocol that will shape your success. Facebook Live Q & A each Thursday in the NewYou90 Mannatech Facebook group. Access to NewYou90 Mannatech Facebook group for daily motivational posts, support and interaction. If you opt in, Group Coaching Call is 1st & 3rd Tuesday of every month at 1:00 pm CST (11:00 PST /12:00 MST/2:00 EST). All calls are recorded and sent to the group. Morning ritual ideas to start your day with excitement and anticipation (the perfect combo for fat burning capability). BONUS for the $97 online support with coaching program, you will receive E.N.D. the Diet Drama 3 part audio series. This program gives you the tools you need so you never experience the pain of your struggle with food again. Mannatech TRUHealth System – proven fat loss results – pick up the products from your Mannatech representative or Shapes gym in Flower Mound. 6. Open line of communication with your body, you will know how to nourish instead of punish. 7. FEEL Leaner, Lighter, Fabulous & Free in a body you LOVE! TRUHealth Fat Loss Supplement Program – *Shapes Gym Members, pick up your TruHealth products at your gym membership location. OR *Get your products from your Mannatech representative. Or purchase your 12 week Online Coaching Membership + 2 group coaching calls each month for 3 months. BONUS: E.N.D. 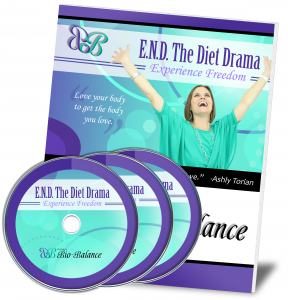 the Diet Drama 3 part Audio Series – FREE. Take before pictures and measurements. Post them in your NewYou90 account at newyou90.com. Once you receive your ‘welcome to prep week‘ email, (you will receive this once you register for the 12 week program) get started with the Kitchen Cleanse, make your grocery list using the meal planning guide, stock up on all foods needed for week 1 and your first cleanse day. Listen to the prep week recording so you know how to prepare for the 90 day program. Follow the rest of the steps given in the ‘welcome to prep week’ email so you are set up for success! I’d love, love, love to work with you!